InstaForex became a partner of the Marussia F1 Team, regular participant of the prestigious and challenging FIA Formula One World Championship. The Marussia F1 Team and InstaForex have common goals. Like InstaForex, recognized worldwide Forex broker, it has proved to be an ambitious team, determined to win each and every race. InstaForex supports the aspiration for high achievements and an active lifestyle, being the sponsor of young and promising sports teams. Partnering with Marussia F1 Team the company continues a good tradition - back in 2011 the company started to co-operate with InstaForex Loprais Team, the participant of the international Dakar Rally and the winner of the Silk Way Rally 2011. Marussia F1 Team appeared in 2009 when the Russian supercar maker Marussia Motors first sponsored and then acquired the controlling stake in the British-based racing team. In 2012 Marussia F1 Team took part in Formula 1, being the first team participating under the Russian colours. It is a debut year for Jules Bianchi, Max Chilton, however the drivers have already demonstrated their potential, good reaction, and technique. Rodolfo Gonzalez is another promising talent, waiting in the wings as Reserve Driver. The team is confident that good results shown during the last Grand Prix give hope for high performance at the end of the championship. 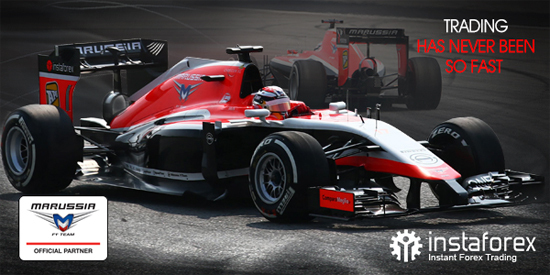 InstaForex sincerely wishes Marussia F1 Team members success and impressive performances.